Volkswagen offers a lineup of vehicles that deliver reliable performance and feature both sporty style and lots of useful features. When you’re looking for a Volkswagen dealer near Lakewood Township, NJ, visit Toms River Volkswagen. With a downtown that looks like its straight out of a postcard and lots to do nearby, Lakewood Township, NJ, is a great place to live. You’re always close to the water with Lake Carassaljo running through the township and the Jersey Shore nearby. In town, you can catch a BlueClaws game or see a show at the historic Strand Theater. With lots to explore, a reliable car from Volkswagen is a great choice to get around and see it all. As a Volkswagen dealership near Lakewood Township, NJ, Toms River VW features a large selection of new, used, and certified pre-owned vehicles. By featuring lots of stylish and dependable options, we’re able to offer something for everyone. If you’re looking for a sporty sedan, take a spin in the classic VW Jetta. With its excellent fuel economy, it’s a great choice for everything from running errands to taking long road trips. Plus, with its easy to use infotainment system, you’ll be in for a fun drive. Drivers who are looking for an SUV should check out the versatile Volkswagen Tiguan. This midsize SUV has lots of cargo room, plus a spacious interior that makes for a comfortable ride. It’s available in all-wheel drive and gets agile handling. If you’ve got a bigger family or need to make room for more friends, take a look inside the roomy VW Atlas. With its standard three rows of seats, it has space for up to seven people. Once you’ve found the car or SUV that you want to buy, you’ll meet with one of the experts at our Volkswagen finance center. They’ll go over the buying process, discuss your options, and answer any questions you have about financing. We make it our goal to get you great options and help you get the keys to the vehicle that you want. One of the ways we achieve this is by negotiating with local banks and lenders to get financing options that work for you. If you already know which vehicle you want to buy, you can get started ahead of time by filling out a financing application online. Our service center features a team of highly trained technicians to help you keep your vehicle in great shape. They’ll be able to take care of all your routine maintenance like oil changes, brake work, and tire rotations. You can also count on our team at our VW dealer near Lakewood Township, NJ, to get you back on the road when you need service too. They’re skilled at tackling engine and transmission work, as well as collision repairs. Plus, whenever we work on your car, you know that we’ll only be installing the highest quality parts. We exclusively use genuine OEM Volkswagen parts that were designed just for your vehicle. 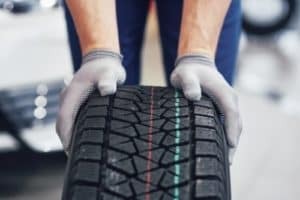 So, if you’ve noticed any service issues with your car, or you’re due for maintenance, schedule service with us online. Visit Toms River Volkswagen to test drive one of our reliable cars or SUVs. As a Volkswagen dealer near Lakewood Township, NJ, we’re proud to provide a quality selection of vehicles and trusted service to drivers along the Jersey Shore and throughout central New Jersey.